Welcome to the Oxley United Football Club History web-page. This web-page provides a brief historical account of Oxley United's history from 1913 to the present. Oxley United Football Club is either the oldest, or at the very least one of the oldest football clubs in the Football Brisbane Association. A number of clubs can claim some connection to previous incarnations that were formed before 1912, but in Oxley's case, we have been able to build a documented history based on Brisbane football magazine articles, newspaper clippings and articles, and diary notes written by the Oxley Football Club founder William Gunthorpe, which trace an unbroken history dating back to 1912. The club has its possession an article from the local Brisbane media from the 1970s where Oxley’s early history was recounted in a short interview with Jack Gunthorpe, an original member of Oxley’s first squad from 1913, who was the brother of the club founder William Gunthorpe. According to Jack Gunthorpe, the Oxley Football Club was formed in 1912 during the tramway strike. ‘That year, some of us put up goal posts and played matches on Sundays’. Further to that article, the club also has in its possession notes written in the early 1950s by club founder William Gunthorpe. These notes include all of the grounds Oxley played at between 1913 and 1953 and Oxley premiership and cup wins for junior and senior teams from the same period. The records Oxley United has state that in 1913 Oxley entered a side in the Brisbane Football Association. The first Oxley playing fields were at Dunlop's Paddock, which was located near to where the Oxley Bunnings warehouse is currently located on Blunder Road. The club played at Dunlop's Paddock until 1927 and then moved onto Lucock's Paddock, which was located on Englefield Road, Oxley, where it played up until 1934. The club then played out of Cawonea Park on Oxley Station Road up until 1953, before moving to Graceville Oval where it played until 1955. In 1956, Oxley United moved in to its current home ground of Dunlop Park at Corinda. Records indicate that Oxley United fielded a junior second grade side during 1915, whilst the first mention that is found in the Brisbane Courier newspaper records regarding the Oxley Football Club was on the 20th of June 1918, reporting that an Oxley side would be playing Wallabies at Oxley. Records indicate that the Oxley United seniors played in the Brisbane Third Division competition in 1918 and in the Second Division competition in 1919 and 1920. There are many mentions of the Oxley Football club during the 1920s when the Oxley sides who carried nicknames of the ‘Boomerangs’ and 'Ramblers' during this period, fielded strong junior sides. The Oxley juniors played in the junior First Grade competition in 1924, the junior Third Grade competition in 1927, winning the premiership and promotion to the junior First Grade competition in 1928. The 1928 juniors played in the Pike Cup final of that year losing out 4-0 to Latrobe. In 1929 the team went one better than their 1928 counterparts, winning the First Grade junior premiership. A photo of the 1929 First Grade Premiership winning side, and other sides from the 1920s can be found in the pictures section of the website. In the season of 1930 the Oxley 'Ramblers' fielded a senior side in the breakaway Ipswich and West Moreton competition. For the years between 1931 and 1934 there is no references to Oxley senior teams in the Brisbane and Ipswich newspapers, but there are a number of references to junior teams during the period, as well as newspaper articles reporting on fundraising dance and card nights run by the Oxley 'Ramblers' Football Club members. The notes from William Gunthorpe identify that Oxley won a Third Grade junior premiership in 1934. Now referred to as Oxley United, the senior’s rose to prominence again in the Ipswich and West Moreton competition in 1936 and the Brisbane competition in 1937 and 1938. In 1938 the side was led by the Queensland and Australian representative centre forward Cec Brittain and ran fourth in the First Division competition. A picture of the 1937 Oxley United men's team can be found in the pictures section of the website. During the war years there are few references to the Oxley United Football Club, but once the war was completed, the senior side once again started to shine. In 1946 Oxley United won the B Senior competition and was promoted back to the Brisbane First Division for the 1947 season. The club was relegated after one season in the First Division and the seniors played Second Division football in 1948 and 1949. The notes from William Gunthorpe identify that in the junior section of the club, the Third Grade junior team won the One Round Cup in 1948 and that the Juveniles won the premiership in 1949. In 1950 there are no references that can be found for an Oxley United senior men's team, however there are records that Oxley United fielded a Junior A Grade side in that year and a Junior Second Grade side which won the premiership. The Juveniles from that season also won the premiership, with both premiership winning junior teams winning the Second Round Cup as well. These junior sides provided a number of senior players for the Oxley United 1951 side, which won the Fifth Division premiership and the Fifth Division One Round Cup. The club then picked up the Third Division premiership in 1952, as well as the Third Division Knock Out Cup and the Third Division One Round Cup. Oxley then won its Second B Senior title in 1953, gaining promotion back to the premier division of the day, the Brisbane First Division. In 1953 Oxley also won the B Senior Bond Cup and the B Senior One Round Cup to go with its premiership. Several pictures of Oxley men's sides from the 1950s can be found in the pictures section of the website. The Oxley United club then played First Division football continuously from 1954 until 1970. During that period the club had its best season in 1958 when it won the Triple Crown, which was the First Division premiership and the Tristram and Hilton Shields. It followed up its success from 1958 by winning the inaugural Ampol (Queensland) Cup in 1959. 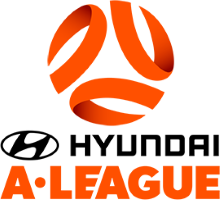 It also qualified for the Australian Club Championship (the Australia Cup) in 1962 when it was placed third in the Brisbane First Division competition. The Oxley United sides from that era included many great players such as Australian representative goalkeeper Brian Topfer, as well as a number of Brisbane and Queensland representatives including Len Jones, Jerry Murray and Eddie Hillier. During the remainder of the 1960s the side remained in the top flight and whilst it didn’t always challenge for premiership or cup honours, it still contained a number of representative players and coaches of the period, including Raggs Tatters, Bill Haig and Brian Tristram. There are a number of photos of Oxley United teams and players from this era in the pictures section of the website. Oxley’s fortunes began to change in the 1970s, with the top side relegated from the Brisbane First Division in 1970. It bounced back immediately though when it won the Second Division premiership in 1971. During the period from 1972 to 1974 the top side played in the Brisbane First Division competition and had a Queensland representative in Paul Yuell in its ranks, as well as several other top players from the era including Trevor Jones and Tony Lowndes. From 1975 to 1979 the club played in the Second Division, going close to promotion back the First Division on several occasions. Pictures of the teams from the 1960s and 1970s can be found in the pictures section of the website. The 1980s saw Oxley mostly playing in the Brisbane Third Division, winning a Third Division Grand Final in 1983. From 1984 to 1987 it finished mostly near the top four or mid table, but in 1988 the top side was relegated from the Third Division. The 1989 season saw Oxley United bounce straight back though, winning the Fourth Division premiership. After the success of 1989, the early 1990s saw the clubs fortunes turn again, with the top side struggling on the park during the early and mid 1990s. As a consequence, Oxley United at senior level was relegated several times during the 1990s. Junior playing levels were also low during this period, but the strong commitment from committee members during these difficult years saw the club start to flourish again in the late 1990s. By the season of 1999, Oxley United was a solid Brisbane fourth tier Football Club, playing in the Amateur 2 competition. The club started to make some improvements at that time to its facilities and junior participation rates at the club started to improve, leading to more players transitioning from the juniors into the senior ranks during the 2000s. In 2000, both the top side and reserves were placed in the top four at seasons end, and in 2001 the top side ran third and gained promotion to the Premier 2 competition for the 2002 season. The club maintained its Premier 2 status until 2005 and was relegated to the Metro 1 competition in 2006. The club then picked up its first senior men's trophy in 19 years when the top side won the Metro Cup in the 2008 season. Pictures of that side and the celebrations for that trophy can be found in the pictures section of the website. In 2009 the top side had a great year running second in the Metro 1 competition and winning promotion back to the Premier 2 competition. In 2010 the side ran 11th, just hanging on to its Premier 2 status. At the same time, the Oxley ladies won their fourth division grand final, the first trophy for the women’s side of the club in 32 years. Photos from that day can be found in the pictures section of the website. In the season of 2011 the Oxley top side started the season well winning the Queensland Times QT Cup. Proving the result wasn't a fluke, the top side went on to qualify for the Premier 2 finals series, with the reserves team also qualifying for the finals series. For the senior side of the club, it was Oxley's best season in a long time and proved the club was moving in the right direction. In 2012, Oxley United's centenary season, the senior men's side of the club again put in a credible performance, with the top side finishing just outside of the top four and the reserves qualifying for the finals series. Unfortunately the reserves were not able to make the grand final, losing to undefeated premiers Bayside in their semi final. For the ladies, the Division 2 side won the premiership, the best result for the ladies side of the club since 1978 and Oxley's first senior premiership since the men's Fourth Division premiership in 1989. The ladies missed out on the premiership-grand final winning double, but winning promotion to Division 1 for the 2013 season was a sweet reward for a great effort! In 2013 the ladies side of the club performed brilliantly in the First Division only narrowly missing the finals in what was their first year in this league. The men's side of the club went through big changes with a new coach and a pretty much new squad. The side maintained its Capital 2 status by a narrow margin. In 2014 both the men's and ladies side of the club performed well, with both the men's top side and ladies top side easily maintaining their status in Division 1 (ladies) and Capital 2 (men’s). There were several junior premierships won in 2014, with the under 14s and the men's division 7 sides both winning the league. Oxley also had their under 18s reach the grand final as well, highlighting a very bright future down at Dunlop Park. 2015 saw the men's topside and reserve team both back in the reckoning for honours at the end of the season. Both finished fourth and qualified for the end of season finals but weren't able to add any trophies finding themselves eliminated from the finals in the first week. For the ladies it was a tough year with side finishing ninth. The men's City 7 side qualified for the finals again, whilst in terms of the juniors, they were successful in delivering the club an under 13s premiership. After a top four finish in 2015, it was expected that the Oxley United top side and reserve team would be major threats in the Capital 2 and reserves competition in 2016. Whilst at times both sides put in good performances, they were a little off the pace and both finished mid table at the end of the season. For the two city league sides (City 5 and City 7), it was a different story, with both having strong seasons and qualifying for the finals. Both sides found the going tough though, knocked out in the first week of the finals. The ladies side improved on its 2015 performance running fifth in the City 2 league, just missing finals football. In the juniors, Oxley United picked up a premiership in the under 12s Div 3, with several other sides (under 12 Div 6s, under 13 and under 16s) qualifying for the end of years finals series. We now look forward to a huge season again in 2019 at Oxley United and will continue to contribute to our rich history in both the senior and junior ranks.